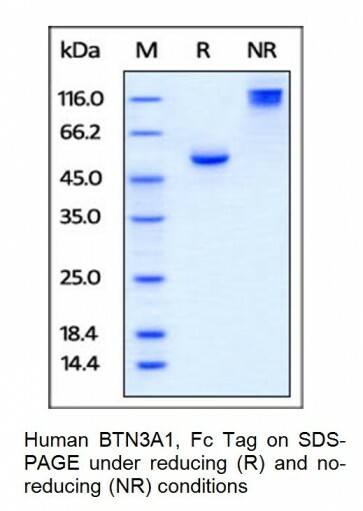 Human CellExp™ BTN3A1 / CD277, Fc Tag, Human Recombinant | P1263 | BioVision, Inc. Plays a role in T-cell activation and in the adaptive immune response. Lyophilized from 0.22 μm filtered solution in 50 mM Tris, 100 mM Glycine, pH 7.5. Normally trehalose is added as protectant before lyophilization. Centrifuge the vial prior to opening. Reconstitute in sterile deionized water. 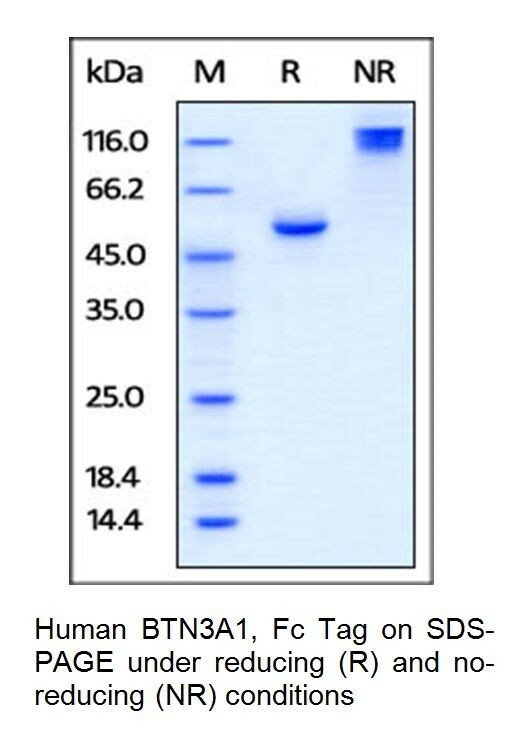 Butyrophilin subfamily 3 member A1 (BTN3A1) is also known as CD277 and BTF5, which belongs to the immunoglobulin superfamily and contains one B30.2/SPRY domain and two Ig-like V-type (immunoglobulin-like) domains. BTN3A1 plays a role in T-cell activation and in the adaptive immune response. 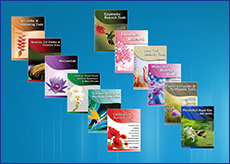 Also, BTN3A1 regulates the proliferation of activated T-cells and the release of cytokines and IFNG by activated T-cells. Furthermore, BTN3A1 mediates the response of T-cells toward infected and transformed cells that are characterized by high levels of phosphorylated metabolites, such as isopentenyl pyrophosphate.